Who can use MetaSpace 511? MetaSpace 511 is available to all patrons in the community with a valid CAFE library card from the Bridges Library System. Those 17 years of age and under are required to obtain parental permission through completion of the User Agreement and Release of Liability Form. Those 14 years of age and under must be accompanied by a parent, adult guardian, or a teacher who must remain with the user while using MetaSpace 511. When can I use MetaSpace 511? Monday – Thursday: 10 a.m. – 7:30 p.m.
Friday: 10 a.m. – 4:00 p.m.
Saturday: 10 a.m. – 3:00 p.m.
1) Through a library-led program. Check our posters, website, and newsletter for events. 2) During Drop-In “Open Tech Times.” Two or three times a month, library staff will be available to answer questions and assist with materials and equipment. 3) By reserving the room in advance. Call or visit the Information Desk to schedule your time slot and to sign a user agreement form. Can I reserve a time to use MetaSpace 511 in advance? Yes! Equipment and room use is available on a first-come, first served basis unless previously reserved. You may reserve up to one week in advance for a maximum of three hours per day. Reservations can be made in person, by phone or by e-mailing: mukref@gmail.com The first time you use MetaSpace 511, you will need to fill out the User Agreement and Release of Liability Form. How much does it cost to use MetaSpace 511? Use of the equipment and tools is free and users are welcome to bring in pre-approved consumable materials for use with the equipment and tools, except the 3D printers. 3D printing filament is $.10 per gram. Please consult with staff about the availability of consumable materials before planning a project. How can I learn to record, digitize, and create in MetaSpace 511? Learning and discovering are what MetaSpace 511 is all about. It is intended to encourage do-it-yourself (DIY) projects. We have printed instructions for many common projects and it is highly recommended that you review appropriate instructional materials prior to using the equipment. While library staff may provide brief assistance in the use of the equipment, staff assistance will necessarily be limited. MCL patrons have full, free access to the Gale Courses database, an outstanding learning site for online courses on basic computer use, design, video, photography, production, and more. 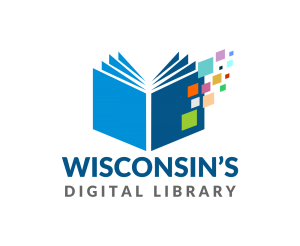 It is accessible from all Bridges Library System libraries, and online from home just by using your library card. In addition, be sure to checkout our events calendar for upcoming classes, programs, and “Open-Tech Times” in MetaSpace 511. Where can I find the MetaSpace 511 User Agreement and Policy? The MetaSpace 511 User Agreement and Policy can be found here. Prior to scheduling an appointment for MetaSpace 511, first-time users will need to submit a signed User Agreement to the library. Do your interests include virtual reality, 3D printing, sewing, DIY crafts, coding, robotics, electronics, or digital conversion? Do you love sharing your passions with others? If you have experience and enthusiasm for the ideas, processes, and materials of MetaSpace 511, we’d love your help. Teach a ceramics class, show seniors how to use their phones, host a coding contest, you name it. To share your passions with the community, call Library Director Angie Zimmermann at (262) 363-6411. The Library and MetaSpace 511 are always in need of assorted consumable materials and other bits and pieces. Click here to see our full Donation Wish List.